Still stinging from criticism of the less-than-stellar 2010 Oscars telecast last February which paired actors Anne Hathaway and James Franco as show hosts, the Academy of Motion Pictures Arts and Sciences has announced that Eddie Murphy will host the 2011 Oscarcast. That’s right: Eddie Murphy, the former “Saturday Night Live” cast member turned 80s and 90s box-office powerhouse. While still a recognizeable figure, Murphy’s star has faded substantially in the past decade, despite maintaining a lucrative job voicing the character of Donkey in the “Shrek” films, as well as receiving a Best Supporting Actor nomination for “Dreamgirls” in 2006. Even still, Murphy, whose last film was box office dud “Imagine That,” will be seen in the upcoming “Tower Heist,” opposite Ben Stiller and Casey Affleck, directed by Oscar co-producer Brett Ratner (who works alongside seasoned Oscar producer Don Mischer). Can “Pluto Nash 3D” or “Re-Meet Dave” be far behind? Ratner has expressed a desire to resurrect the “Beverly Hills Cop” franchise with Murphy; the 3-film series made nearly a billion dollars in box office receipts from 1984 to 1994. Still only 50, Murphy broke-out in stand-up comedy and was made a cast member of NBC’s “Saturday Night Live” at the age of 19. Two years later, he made his feature film debut in Walter Hill’s successful “48 Hrs.”, then cemented his box office stature with 1983’s “Trading Places,” a bona fide blockbuster hit. 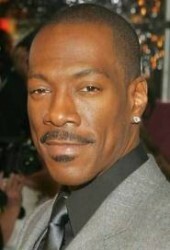 A number of hit films followed (“Coming to America,” “The Nutty Professor”), but by 2002 Murphy’s film roles grew increasingly formulaic, and he was saddled with a series of high-profile flops, including “The Adventures of Pluto Nash,” “Norbit” and “Meet Dave.” Clearly both Murphy and Ratner believe that “Tower Heist,” in which Murphy plays a thief recruited to help steal $20 million believed hidden by a Bernie Madoff-like con man, will revitalize his career. Early buzz on ‘Heist,’ which features a supporting cast filled with the likes of Alan Alda, Gabourey Sidibe and Matthew Broderick, is strong. Have I seen this one before? 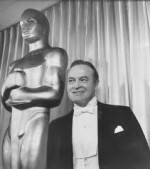 The Academy has drawn on comedians to host the Oscarcast many times before: Bob Hope was considered the show’s ‘unofficial host’ for years. Johnny Carson hosted the show numerous times, and Billy Crystal, Steve Martin and even David Letterman have hosted (although Letterman was a one-shot wonder, as were subsequent ‘edgy’ comic hosts Jon Stewart and Chris Rock). It’s hoped that Murphy’s stand-up experience and career longevity will restore the Academy Awards telecast’s steadily declining ratings, but that a tough bet to make, given that Murphy’s dated appeal and R-rated humor may not translate to a network awards show. 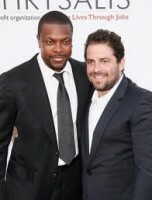 Whether by coincidence or design, another Ratner crony re-surfaced this week: Chris Tucker, of “Rush Hour” fame, announced he was set to join director David O. Russell’s comedy “The Silver Linings Playbook,” the director’s follow-up to last year’s box office hit “The Fighter.” Tucker hasn’t been in a film since “Rush Hour 3” in 2007, after hemming and hawing 6 years to make that film. Although he was (and remains) attached to a crime script at Warner Brothers called “The Rabbit,” it seems likely that Tucker’s next two projects will be Russell’s ‘Silver Linings,’ as well as “Neighborhood Watch,” opposite Ben Stiller, Vince Vaughn and Jonah Hill. 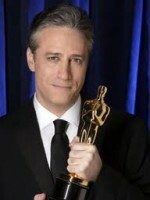 Tucker is a mercurial figure who has worked with visionary directors like Quentin Tarantino (“Jackie Brown,”) and Luc Besson (“The Fifth Element”) before finding financial and career stability with Ratner, with whom Tucker has made 4 films: the 3 “Rush Hour” films, as well as “Money Talks,” Ratner’s debut feature. Presently, Tucker is performing a standup comedy tour, set to end in November. Eddie Murphy’s hosting gig at the 2011 Oscars next February probably won’t change much in terms of the show’s ratings decline. Despite Murphy’s $7 billion (with a b) in career box office earnings, what needs to be changed at the Oscars is the show, not its host. The Academy has already decreed that the number of Best Picture nominees will not be the 10-title phone-book list of recent years, itself a promising start. It’s clear the different producers of the last few years have taken stabs at originality, but the Academy Awards telecast remains a real relic of old Hollywood. Like the movie business itself, which is declining in the numbers of ticket buyers, the Academy Awards TV broadcast is going to have to find a new, sustainable model if it wishes to enjoy continued ratings – or relevancy.